Get your new hobby off the ground, or expand your quilting skill-set. In one-on-one private lessons you’ll have my undivided attention to help you select fabrics, patterns, and tools and to learn how to use them. Beginning sessions will include tools of the trade, fabric selection, cutting, piecing, machine quilting, and binding. Optional topics include hand quilting, hand applique, English paper piecing, foundation paper piecing, and machine applique. Lessons are offered on an hourly basis. You can choose to purchase just one hour or several hours to be arranged as a single, full-day workshop or weekly lessons of one to three hours as your schedule and budget allows. Lessons are offered in South Chatham, MA May 15th -Oct.15th and in Stuart, FL October 20th-May 10th. 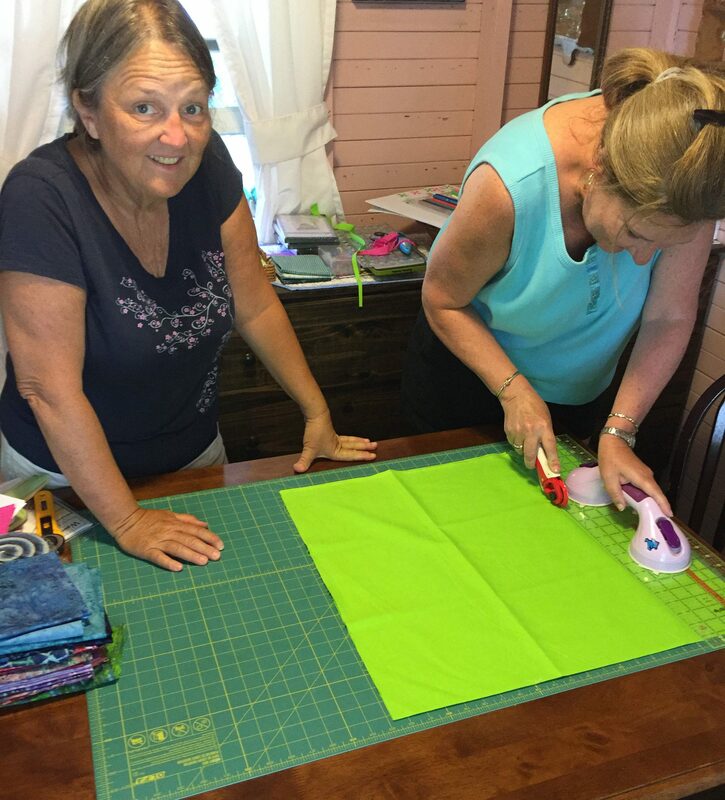 Beginning sessions will include tools of the trade, fabric selection, cutting, piecing, machine quilting, and binding. Optional topics include hand quilting, hand applique, English paper piecing, foundation paper piecing, and machine applique. After you’ve completed your purchase, I will be in touch via email to discuss specific times and dates. Donna’s lessons are fun! Her skill level is that of a master but she can teach someone who has not even thread a needle. She is creative and thinks outside the box with her teaching mythology. Right handed, left handed it does not matter she will accommodate you. She can help you with any project –or teach from start to finish–the journey is all yours. You can even sew on the beach if you would like.. Thank you, Ruth Ann! Sewing on the beach is the best, so long as you can keep the quilt out of the sand and the pieces out of the bag of grapes. Looking forward to our next visit to the beach. I can’t thank you enough for taking the time to teach me the yellow brick road quilt ! I have never picked up a needle and thread, ironed , quilted and I can’t see to well as well as being color blind !! You did such a great job ! You where fun, patient and a great teacher . I still can’t believe I have a finished beautiful quilt at the end. I highly recommend taking one or many hours of classes with Donna ! I learned so much I can’t wait to do another one ! I wish you where not going to Florida so I could learn more ! Thank you for the book as well ! I highly recommend Donna ! The price is great as well ! !